Mr. Runge received his undergraduate degree from the University of Southern California, where he majored in Political Science and triple minored in Business, Cinema and Spanish. He received his law degree from Chapman University (J.D. 2013), where he received an emphasis certificate in contractual and entertainment law. Mr. Runge worked as a law clerk for Kolar & Associates after his first year of law school, and remained with the firm as a law clerk until being admitted to the California Bar in 2013. He is now an associate for the firm and admitted to practice in all California State courts, as well as in the U.S. District Court (Central and Northern Districts). 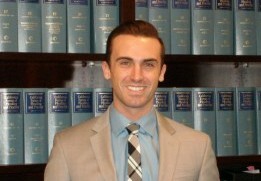 Mr. Runge is a member of the Orange County and Los Angeles Bar Associations. In his spare time, he enjoys creative writing and spending time with friends and family.